Wedding traditions around the world differ according to the customs of the country and society from one region to another, and one of the most popular wedding traditions in the Gulf region is probably the bride's trousseau, also known in Kuwait as "Dazza" and in Saudi Arabia as "Dabsh", which both mean the same thing, and preparing the bride's trousseau or Dazza if one of the most important traditions in the Gulf region. Once the bride gets engaged, she starts shopping for all her needs, and this task needs a lot of time and is every important for every bride to be. The Kuwaiti Dazza or trousseau is everything the bride gets or wants to be moved to her new home, and in Kuwait getting the Dazza to the bride's new home goes through many traditions and rules, first of all the bride has to prepare everything she needs from jewelry, clothes, shoes, makeup, and more, and then choose how she will pack her new and beautiful items and how those boxed or luggage will be decorated. Many brides decorate them with ribbons, while others like to add some sparkle by using stones, crystals, even pearls to decorate their Dazza. These days the bride's Dazza is no longer a difficult task, because there are now many places and shops that offer the service of packing and decorating the bride's Dazza. They decorate them to suit the bride's taste, whether with ribbons, flowers, or any other unique material. A popular choice to decorate the bride's Dazza is lace, many bride's use different colors and make flowers or bows out of the lace. Tulle is also a very popular option to decorate the bridal Dazza. As for the bags or boxes that will be decorated, brides choose whatever they feel suitable, some brides choose bags, while others prefer boxes as they are easier to decorate and the bride can even have her name written on them. 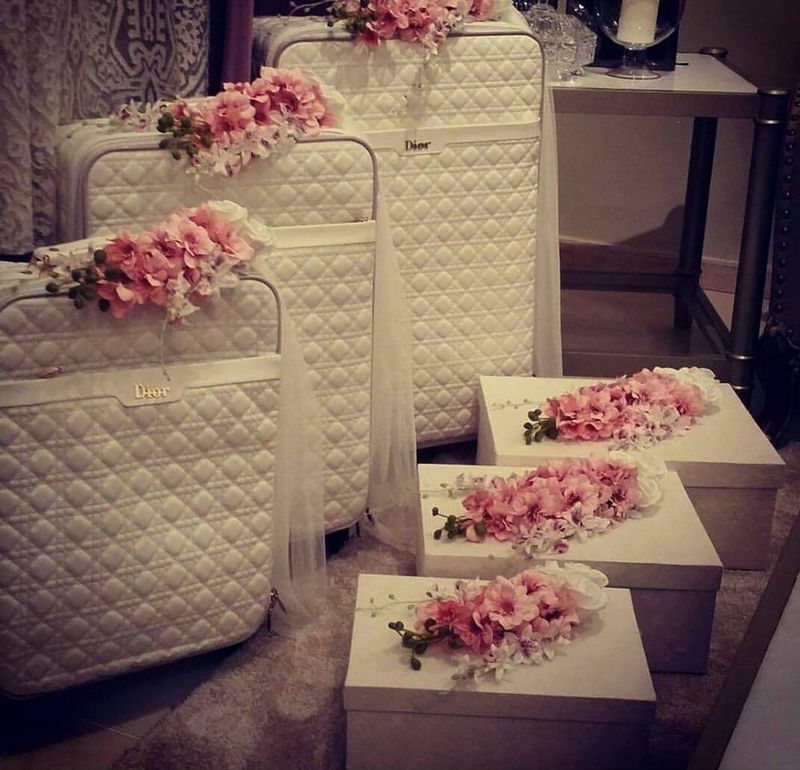 Many brides make sure they get their bags from the luxurious brand like Dior, LouisVuitton, and other brands. To help you decorate your bridal Dazza, take a look at these beautiful ideas we have for you.